“You will want to make plans now to attend the Sunday services of the Hampton United Methodist Church. For the first time in 54 years, they are rolling me out to be the reader of not ONE, but TWO Bible verses in church. About six months ago our trustees committee was in the sanctuary listening to the new sound system when someone said, “Hey Pat, read something and we’ll see how it sounds in the back and in the balcony.” SO, there had been a funeral there earlier in the day and so I read the back of their program which was the person’s obituary. Word seemed to spread fast and I was told I needed to be a reader in church. I said, “OK.” A month ago someone said, “Pat, have you ever been the reader in church?” I said, “No, I was never asked.” — So this Sunday is my debut. You never know what you will get if you don’t ask. There are a couple of things happening in this post that are marks of a Christian intentionally practicing his faith. First, he said yes. Whenever the church asks something of you, do you say ‘Yes’, or is your mind racing in one hundred different directions thinking about how to say ‘No.’? Our society has changed so much over the years, especially here in the United States. There was a time when the the church was the central location for all activities in a community. A time when the entire day of Sunday was spent at church with the church family. Today, people have to check their calendars to see if they can make Sunday worship. They might have scheduled something else. I appreciate my family, they know if it Sunday morning, they will find me at the church. If they want to have a dinner on Sunday and want me there, it needs to be scheduled late enough for me to get there. Second, he invited people. He didn’t just invite, he shared his story on why he was extending the invitation. He let people know what was going on with him, why he was reaching out and projected an outcome, an expectation that people would turn out and either meet him at church or listen to the radio broadcast. I personally did not make it to the church that Sunday, due to the weather, but I did listen on the radio. Pat Palmer, you did a great job, I have heard many compliments regarding your part in the service and thank you. The mission of the Hampton United Methodist Church (HUMC) is ‘to make and mature disciples of Jesus Christ.’ This cannot be done without extending oneself to the work of the church or to the people around us. Here, at HUMC we are growing in our faith, we are living out our call to go and make disciples, we are family, brothers and sisters in Christ. I wish to extend the invitation Pat put out there on his facebook page and invite you. Not only to worship on Sunday mornings (or Saturday evenings) but also to Bible Study on Sunday evenings and Tuesday afternoons. I invite you to join the groups who like to sew, knit and crochet on Monday evenings or Tuesday afternoons. I invite you to be part of the youth organization with Children 1st on Wednesday afternoons or Wednesday evenings. Those who have the gift of music and enjoy singing our choir meets most Wednesday evenings and shares their gift on Sunday mornings. There is also a group that meets on Thursday mornings called BeFrienders, this group reaches out the the community through cards and pray for those with health issues and provides communion to the assisted living facilities in the community. Monthly a men’s group meets for breakfast, sharing in fellowship and devotion. The United Methodist Women meet monthly throughout the year, during the winter months they deviate from their meeting duties and offer fellowship during their meeting time for anyone who drops by. Thursday evenings HUMC provides the site for the Community Meals. Organizations from the community work collaboratively with the church to provide nutritious meals and fellowship for whoever stops in. I know I am forgetting things, but off the top of my head I would say this is a great beginning for sharing what the life of HUMC is like. 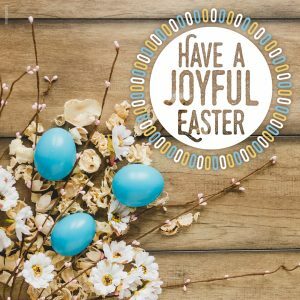 As HUMC prepares for Easter, it is a time of new beginnings, a new season in the life of HUMC and all those who pass through the doors coming in and going out. Today, I took some time to reflection, as plans to travel to the Heifer International Farm in August begin to fall into place. That time will come before I know it. I sat down today and read the cards I received at the end of the trip to Sager Brown. This is a practice I picked up somewhere in my travels, at the end of a mission trip, to have each member take time to reflect and share with other members of the team; where they saw God in the person they are writing to. Yes, like so many things, I hold onto the cards. They have a way of lifting my spirits and I find encouragement in them to carry on in my personal journey with Jesus. This Sunday in worship I am excited to announce that 5 students from the Children 1st Program will be sharing a short drama ‘The Feast’ during the Children’s Message. I am so inspired by them. They have so much energy and have worked hard, at the same time had fun preparing for this Sunday. You will want to be there and witness their gift for the church. My hope is to have more involvement with the children during worship and other aspects of life at HUMC. I ask you to take time this Easter and reflect back over the past year and your life here at HUMC. What inspires you? Where do you see Jesus? What do you want to do as a Christian, following Jesus on the journey of the upcoming year?